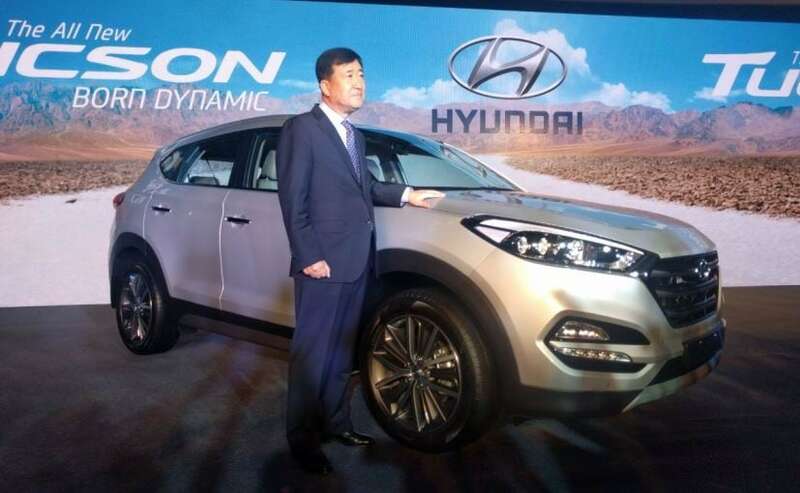 Hyundai Tucson, the third SUV in the company's line-up in India, was launched at a starting price of ₹ 18.99 lakh (ex-showroom, Delhi), thus marking the Tucson nameplate's return to the country after five years. 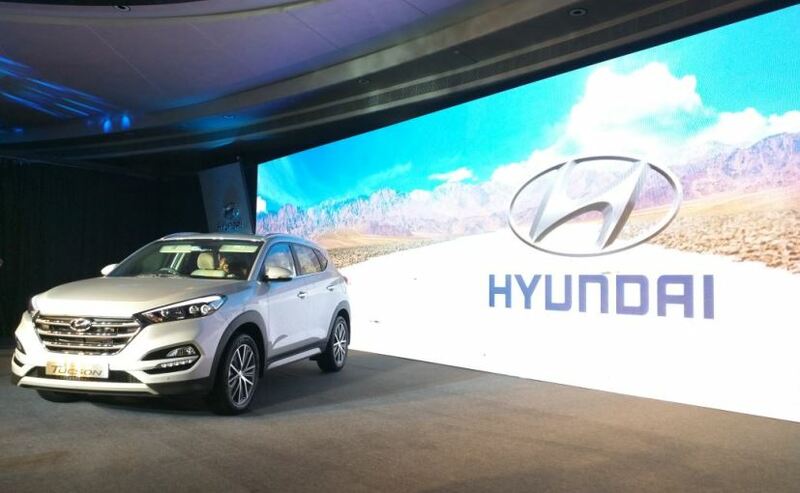 Hyundai India originally planned to launch the Tucson SUV last month but pushed the date by a month in order to retain focus on the new Elantra's performance in the market. The third generation model of the SUV has much to offer including an evolved design, improved interior, and new technology. Here's a rundown of what you need to know about the all-new Hyundai Tucson. The Tucson is the first SUV to be built with Hyundai Motor's new development philosophy of 'Innovation of Fundamentals' that manifests in safety, performance, ride & handling, durability and low NVH. It measures 4,475mm in length, 1,850mm in width, 1,660mm in height, and has a wheelbase of 2,670mm. The SUV's design is based on the company's Fluidic Sculpture 2.0 tenet. Its curves are emphasized upon by its sloping roofline, hexagonal grille with chrome slats, sweptback head-lamps, a sporty bumper, and wrap-around LED tail-lights. It gets a dual-tone black & beige interior with features such as fabric upholstery, puddle lamps, and cruise control offered as standard across the entire range. Other provisions, depending on the selected trim, include an 8-inch touchscreen system, Apple CarPlay and Android Auto support, satellite navigation, a voice recognition system, optional panoramic sunroof, and electric tailgate, etc. The new Hyundai Tucson also receives the company's new Drive Mode Select albeit only on the automatic variants. 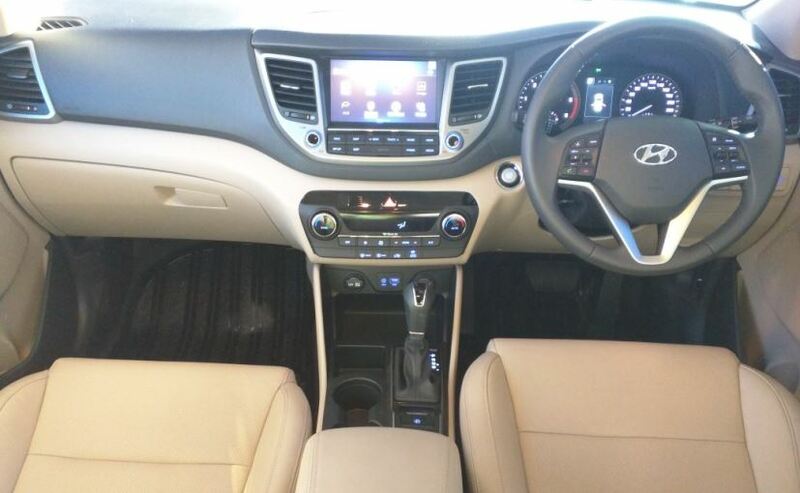 This feature allows the driver to select one of three available driving modes, namely, Normal, Sport, and Eco. The list of standard safety provisions includes dual-front airbags, ABS with EBD, Rear parking camera with dynamic guidelines and rear parking sensors are standard. Whereas, optional safety features include side and curtain airbags, electronic stability control (ESC), vehicle stability management (VSM), hill-start assist control (HAC), downhill brake control (DBC), brake assist, and both front & rear parking sensors. The Hyundai Tucson is offered with a choice of two engine options: a 2.0-litre VTVT petrol and a 2.0-litre CRDi diesel. While the petrol unit develops 153bhp and a maximum torque of 192Nm, the diesel engine puts out 182bhp and 400Nm of peak torque. Transmission options for the 2WD Hyundai Tucson include a six-speed manual and a six-speed automatic gearbox, available with both engines. The Hyundai Tucson's primary rivals includes names such as the Honda CR-V, Skoda Yeti, and SsangYong Rexton.